This gearbox made a strange noise. Stand-still marks on the gears. These marks caused the abnormal sound. On several teeth was damage found. Leakage in the input shaft and on one side of the seals. We repaired all of the seals and assembled it again. At the end we performed an alignment on the gearbox. Inspection of gearbox. Full assembly and watertightness testing by pressure test. 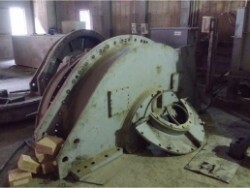 Assembly and aligning of Hangzhou Advance GWC 52.59-02 gearbox. Inspection, overhaul and assembly of the cutter gearbox of Chinese make. Customer is experiencing problems with and lack of specific knowledge of Torque Transducer Systems on board of one of their vessels. Job at hand is to instruct vessels crew on maintenance and operation of the systems. 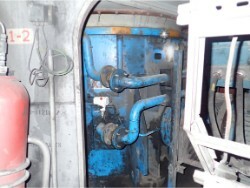 This is done by on-site training during normal operation of the vessels equipment. - Inspection and overhaul of gearbox. - Performing a inspection including non-destructive research of the bearings, planetary wheels and other internals. 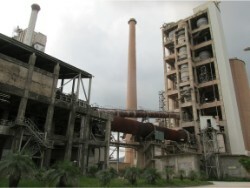 - Performing a rooth coarse analyse and determining repair proposal. 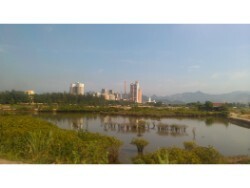 - Repair of all neccessary parts and test run in our facility. 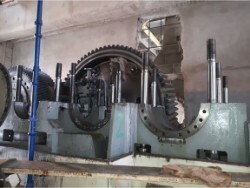 First we perform an inspection on gearbox of Flender. After that we repair the damage. At the end, we also perform an alignment. - Assembling of gearbox CMD DBP 196V. On gearbox CMD DPP323H we performed a visual inspection. - Inspection and temporary repair to be able to run on 50% of it's capacity. - Production of outer ring gear of 3 meter + planetairy gears + sun gear + new white metall bearings in 6 weeks. - After receival of new part, we machined the outer ring gear local to fit on the other parts of the housing in an local machine shop. - Full assembly of the gearbox. 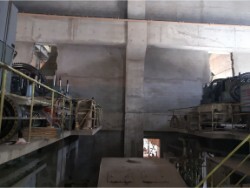 - Commissioning on-site including aligning, vibration analyses and videoscopic checks. After the disassembly of the shafts and the bearings, a recommendation has been provided of what was necessary to replace in order to get the gearbox running. In addition, we investigated what was causing the damages. The mechanics and engineers were able to provide sufficient information on what has occurred after which the situation was clear. 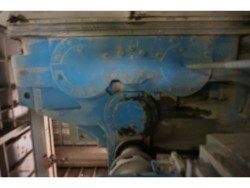 Our client had a problem with gearbox FLENDER GCK 725. - Making a complete inspection report for our client. - Replacement of the bearings and oil seals. - Complete inspection in Dubai. 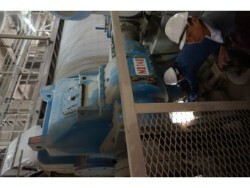 - Inspection and measurements in Dibba, U.A.E. 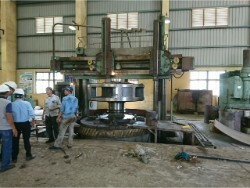 - Production of a case hardend pinion of 2 meters long. - Assembly of gearbox and testrun. No immediate signs of bearing damage have been observed. However without gear teeth numbers it is not possible to identify the origins of individual signals, making measurements less efficient. To make optimal use of vibration measurement technologies it is advised to obtain gear teeth numbers from the manufacturer. - Order new input shaft bearings. One QJ axial bearing and two double row spherical bearings. - Order a complete set of gearbox bearings if the bearing life is close to or exceeding 80.000 running hours. - Take vibration data on a weekly base.